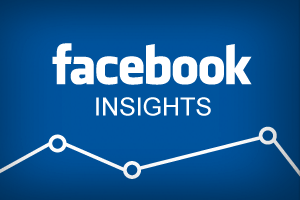 all are aware of the fact that Facebook has a lot of data on people and for the last one and half years, they’ve been sharing huge information than ever before through their Audience insights platform. Due to this, we can start pulling together different audience personas at a very little cost apart from time, Facebook account and effort. How can you use Audience insights to create personas for your business in order to target content in a better manner? Read on to know more. What actually is a persona and what is the need of building them? A persona is the summary of observations or research based on a group of users who show similar lifestyle choices and behavior. Personas give us the chance of collectively grouping the users into buckets rather than focusing on different individual wants and needs. All this is then distilled into an imaginary person who can be referred to guide business decisions whether they’re the type of design that we use or the content of email marketing, the tone of brand marketing or even the types of products which we look forward to sell. Someone might build number of personas to make them connect to different users. While building personas, there are few things that you need to be aware of. Check them out. Facebook will offer you 2 categories of audience options, “All of Facebook” and “People connected to your Page”. In the past, if you’ve already paid for Facebook followers or if you’ve used advertising options, the people connected to your Page data could possibly be a misrepresentation of your target audience. If your audience is less than 1000 people, Audience Insights is not going to display any information that you seek. When you select multiple options in the navigation, this uses “or” function. This can make it tough for you to dissect data, especially if you have multiple interests. So if you know the process of building audience personas, you just have to repeat the process for various demographics which you believe would be interested in your brand. However, it’s not that this is the only job which you have to complete while building such personas. Facebook has a lot of data but they’re now segregating them into different parts. So, make a wise and informed decision.